Celebrations at The Rood Club in Queanbeyan on Saturday evening. Photo: John Barilaro Facebook. As the count continues in the NSW seat of Monaro, the incumbent John Barilaro is stretching his lead out to a 9% swing with just over 80% of the vote counted. From 56,951 enrolled voters, the two-party preferred result has Mr Barilaro of The Nationals on 60.28% and Labor’s Bryce Wilson – 39.72%. The local Member since 2011, and Deputy Premier since 2016, Mr Barilaro went into Saturday’s poll with a margin of just 2.5%. 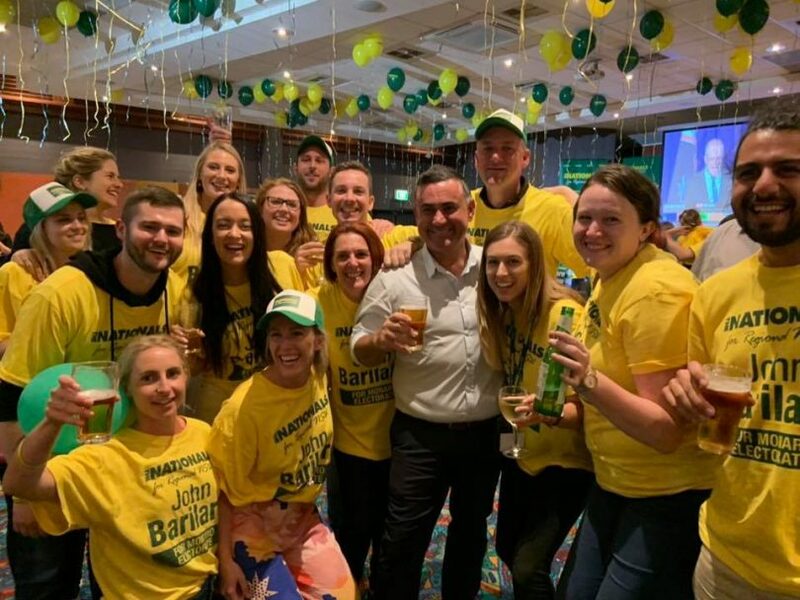 As NSW party leader he has had the benefit of high visibility, yet Mr Barilaro credited his win on always turning up and delivering investment locally. Frankie Seymour (Animal Justice Party) 1,049 (2.33%). 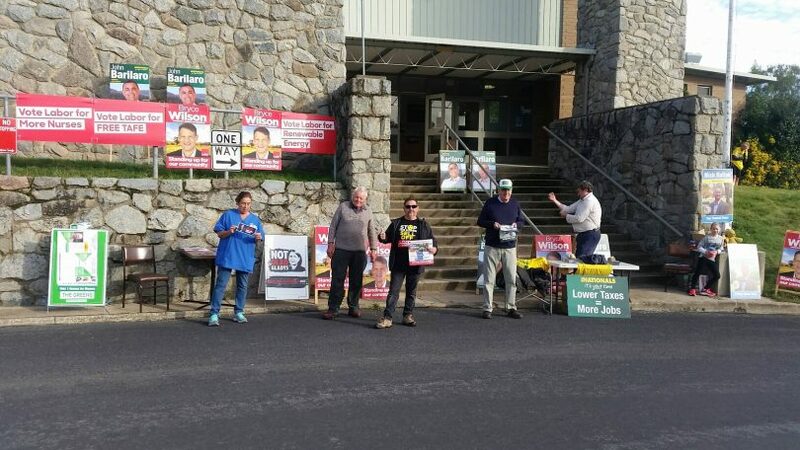 In a remarkable achievement, The Nationals won every single booth on the two-party-preferred vote, including Cooma Public 56.2%, Michelago 68%, Nimmitabel 61%, Bombala 58%, Jindabyne 65.61%. 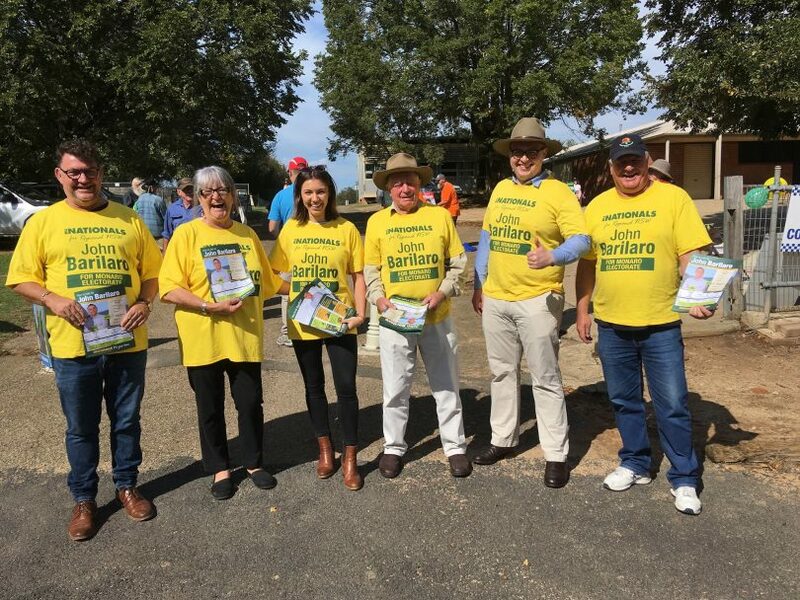 The Braidwood booth gave The Nationals 54.56% and Labor 45.44%, while Bungendore also swung behind The Nationals – 51.15% with Labor on 48.85%. Check your booth results HERE. Team Barra at the Braidwood Central School booth. Photo: John Barilaro Facebook. Bryce Wilson, Country Labor candidate has thanked his supporters. “It was not the result we fought so hard for but through our efforts we did achieve an enormous amount for our community. I am very proud to have been part of that,” he said. “We faced an unprecedented level of commitments in our area. Some $250 million in funding announced since Christmas, not including some new schools, many as a result of our campaigning. “I will be working to ensure that the Government is held to account for every single announcement. 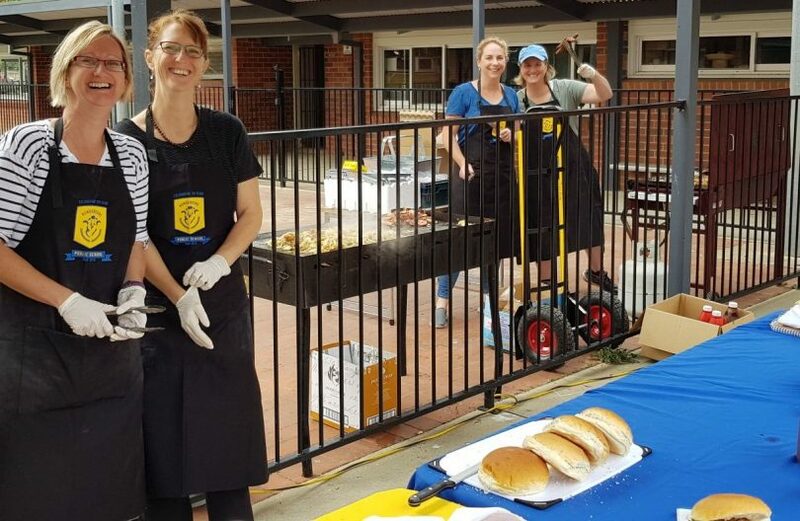 Manning the election sausage sizzle in Bungendore. Photo: John Barilaro Facebook. “This may reflect his largesse to the electorate in the months preceding the election, and the promises of further largesse if re-elected.